In Kentucky, car insurance is a must for all drivers. The Kentucky Transportation Cabinet (KYTC) ensures that all registered vehicles are insured. If you are caught driving without required car insurance, you will face a number of penalties. So make sure that you comply with the stated Kentucky car insurance laws. In order to meet the Kentucky car insurance requirements, you need liability insurance. This will help you pay the cost of property damage and injuries to other people resulting from a car accident that you cause. NOTE: If you are a new resident in Kentucky, you are required to purchase the minimum limits of liability insurance within 15 days of coming into this state. Kentucky laws require you to purchase minimum coverage amounts as financial responsibility when accident occurs. These alone cannot offer you full protection from all costs incurred after an accident. You need additional coverages to protect you further. Read below to find more about these additional insurance coverages. 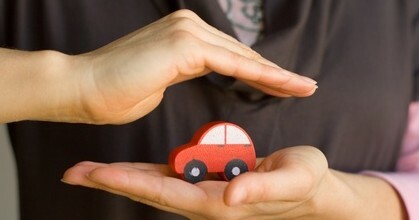 No-fault insurance is sometimes known as Personal Injury Protection (PIP) coverage. You may consider purchasing this coverage to help you pay your own medical bills resulting from car accidents. PIP pays up to $10,000 for injury related medical costs per person, per accident, regardless of who was at fault. Exception: You can sue for injuries that are deemed serious, permanent or that result to death. You have the right to reject the limitations on your right to sue. This must be done in writing using a no-fault rejection form which you can submit through Kentucky Department of Insurance. If you reject the limits, Personal Insurance Protection will NOT be provided to you and your liability insurance will likely be more expensive. Collision – Helps you pay for damages caused by your car accident related to traffic. Comprehensive – Helps pay for damages caused by your car’s accident following non-traffic factors such as fire, collisions with animals and theft. When driving, you must carry proof of insurance and registration all the time. If you are stopped by a traffic police and you fail to show proof of insurance, you will face penalties and fines. In order to register your vehicle or renew your registration, you will have to show proof of the required Kentucky car insurance. The KYTC uses a special system to verify whether you hold at least the minimum required Kentucky car insurance. All car insurance companies in Kentucky must submit records of all policies to the KYTC. The KYTC will then use this record to verify the status of all car insurances within Kentucky. If there is no record showing proof of insurance from insurance companies, you will have to provide proof of insurance manually at the time of car registration. Earn a “high-risk” driver title by your insurance company. If your insurance policy is canceled for any reason, you must find other coverage or else you get a ticket. If you fail to do so, you will face the above penalties and fines. You will also face car registration suspension by Kentucky Transportation Cabinet (KYTC). If you want to reinstate your vehicle registration suspension, you need to show proof of insurance and pay some fines to your County Clerk. For more information about uninsured notice, call KYTC at (502) 564-1257. Though it’s your right in Kentucky to be offered insurance, auto insurers have the right also to refuse you for coverage if they consider you a high-risk driver. If you fail to find an insurer in the open market, you may apply for insurance through the Kentucky Automobile Insurance Plan (KAIP). Insurance cover through this plan will typically lead to higher premiums. So you need to maintain a good driving record all the times to avoid earning a “high-risk” driver title. By phone: (502) 564-3630 Toll-free: (800) 595-6053 TTY: (800) 648-6056. If you wish to file a complaint against your car insurance company, you can do so online or send a filled Consumer Complaint Form and mail it to the address on the form. Car insurance providers lose significant sums of money through car insurance frauds. These losses trickle down to affect car insurance premiums. You can help fight car insurance frauds by reporting any suspected car insurance fraud to the Kentucky DOI. You can do so by online by filling the Report Fraud Form or through phone numbers provided in their website. Taking advantage of Discounts is the greatest way of saving money on car insurance. The following are the common discounts offered by most of Kentucky car insurance companies: Good driver Good student Multiple policies Low mileage Anti-theft device. Having a good driving record is the easiest way of getting a cheap quote and it must show a safe driving history free of violation.